Eng. 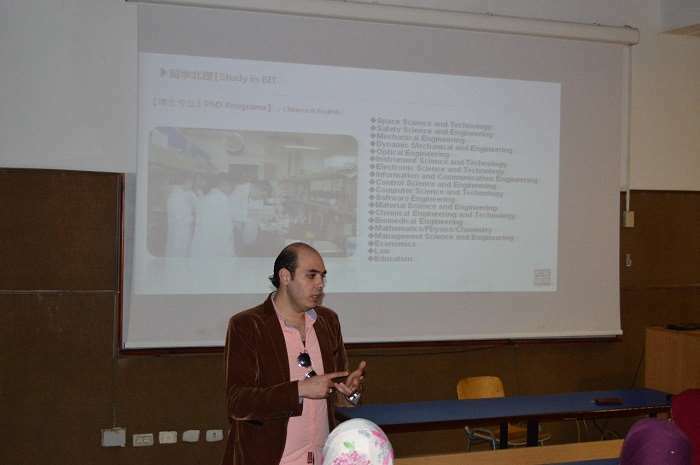 Mahmoud Abdel Ati, an assistant lecturer at the Petrochemicals Engineering Department, gave a lecture on the PhD scholarship that he won to BIT University in China. The lecture was delivered on Tuesday 20/2/2018 at E124 room. At the beginning of the lecture, Eng. 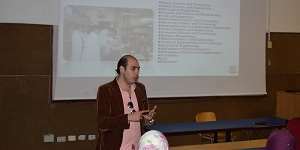 Mahmoud Abdel Ati gave the attendees a synopsis on lifestyle in china with regard to the most famous foods and drinks, customs and traditions, along with variation in modes of transportation. Then, Eng. Mahmoud Abdel Ati spoke about BIT University in terms of its high academic ranking among other universities all over the world. He finally concluded by referring to the MA and PhD scholarships open at BIT University and how to apply for. 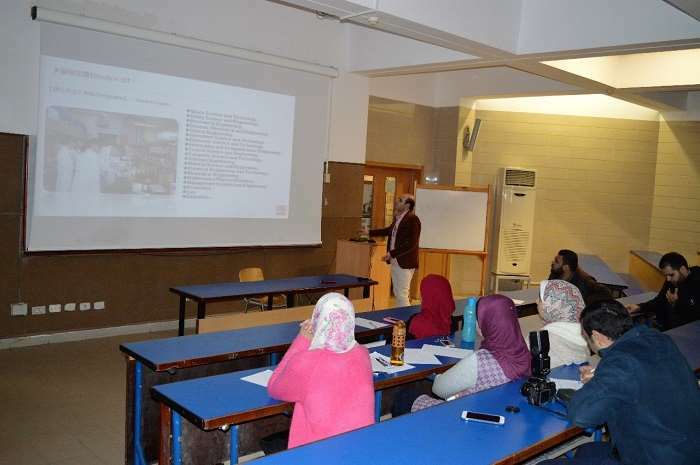 The lecture was attended by some of the teaching assistants of the faculty of Engineering.